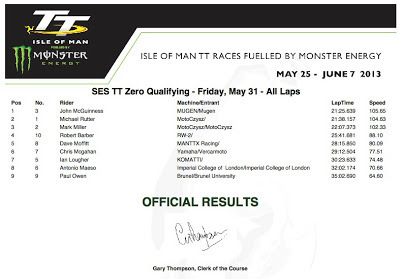 Isle of Man TT Week is underway, and the TT Zero crew has had their first practice round on Friday. 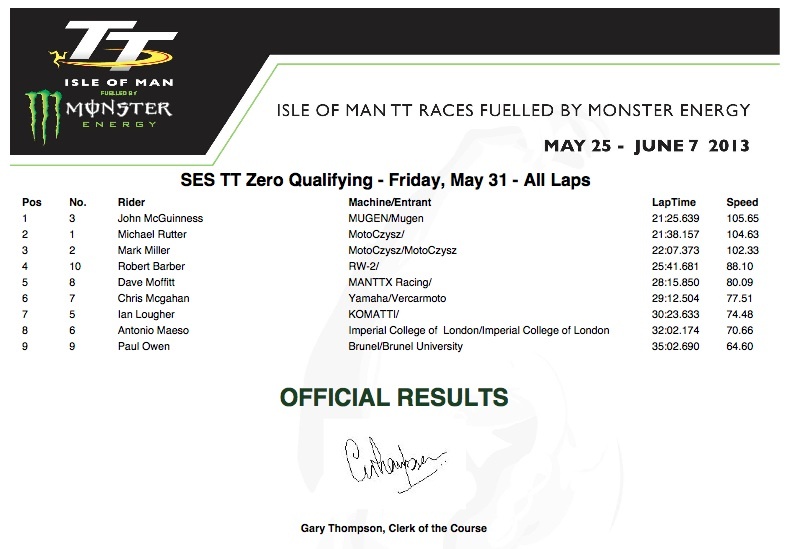 Despite the MotoCzysz goal of hitting a 110 miles/hr lap, practice results fell a little short, and Mugen even came in a little ahead. Of course the team can use this to adjust something letting them come out ahead on Wednesday. What counts is what happens that day.